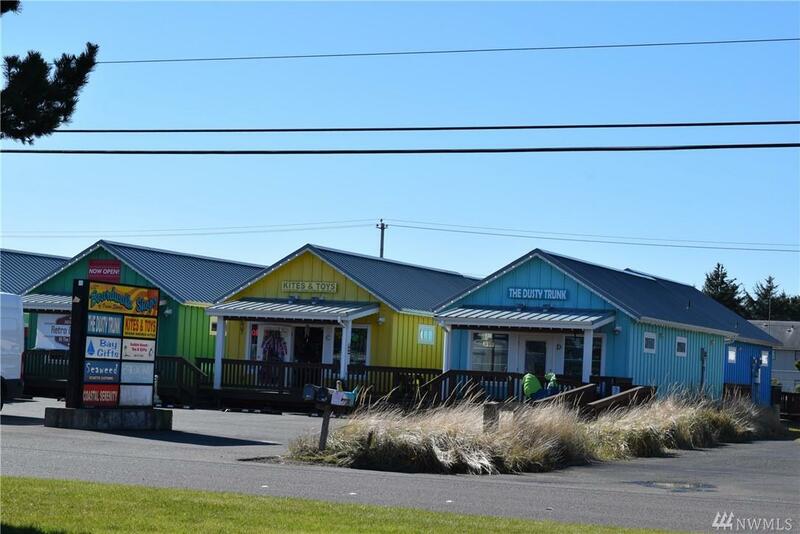 Affordable Commercial Building Now Available in Downtown at the Boardwalk Shops of Ocean Shores! 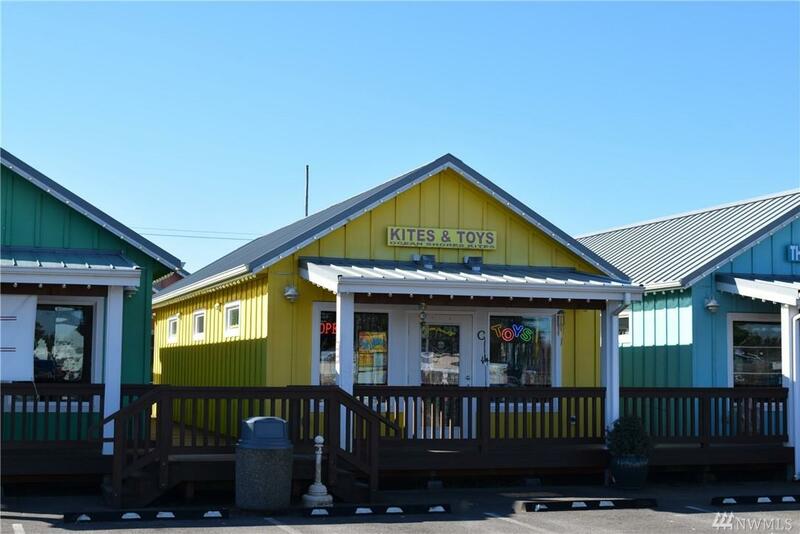 This 663 SF property is in a very visible area of a popular retail shopping complex and this unit is on the front row with excellent exposure. A total of 7 beach-style units are connected by nearly 3000 SF of boardwalk w/signage out front & tons of parking. 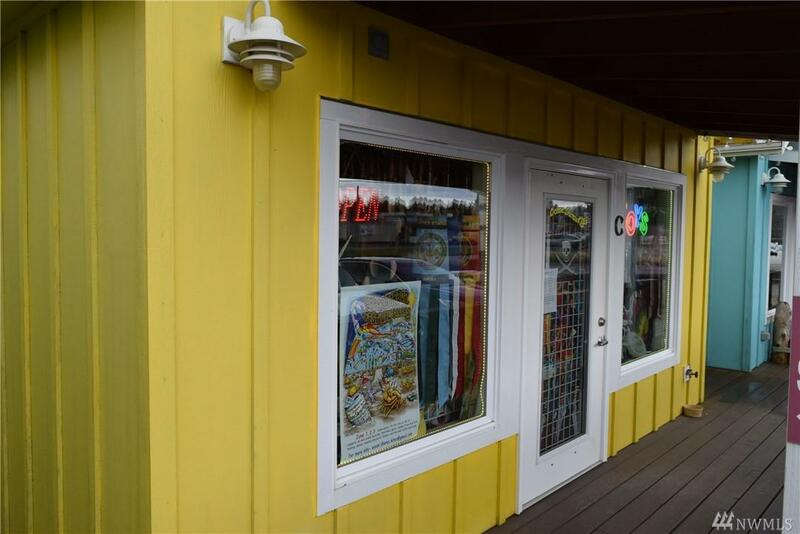 This bright yellow unit (#C) features front & back doors~ metal roof~ hardwood floors~ built-in speakers~ restroom & is in excellent condition.